Instagram has intentions to roll out a new feature that locks a username for 14 days after a user has decided to change it. Until now, changing usernames were pretty big risks due to bots snatching your previous username almost immediately. With this new feature, you would be able to switch back to your previous username as long as you change your mind within the grace period. However, if you have a verified account, you may lose the verification when changing your username. With more than 500 million Instagram daily users, Instagram Stories have become a hit for advertisers worldwide. Around 60% of brands are now using Stories to add interactive elements to their messaging, such as location, @mentions, #hashtags and stickers. These are now finally becoming available to Stories ads too! To create an interactive stories ad is simple – choose Instagram Stories only as the ad placement in Ads Manager. After uploading your creative, there will be an option for advertisers to add an interactive poll. To help make it easier for people to find and connect around their favourite games, streamers, groups and more, Facebook is rolling out a dedicated gaming tab for people to discover, play, watch and share gaming content personalised for them. With this new feature, users can quickly and easily find gaming content that matters most for them. With over 700 million monthly active users who play games, watch gaming videos or engage in gaming groups on Facebook, this is a great new feature for anyone to participate in the gaming communities that matter most to them. In an announcement this week, LinkedIn explained it is expanding its audience targeting capabilities with a new partnership with Adobe. This partnership will be bringing LinkedIn’s account-based marketing capabilities to users of Adobe Experience Cloud. This move is set to empower B2B marketers and sellers to easily identify, understand and engage B2B customer buying teams. This new partnership will also see Adobe’s back-end tools brought together with LinkedIn insights to effectively improve its advertising potential. 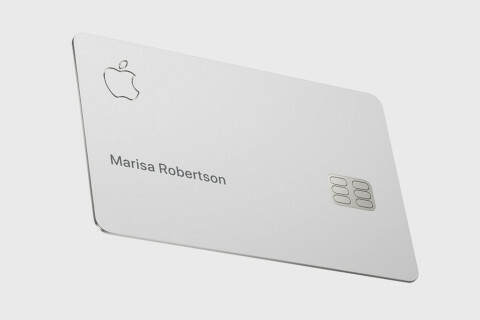 Apple has announced its new Apple Card credit card earlier this week. This card comes in both physical and digital form, with the digital version living on the Apple Wallet app on users’ iPhones. This new card will have no fees, lower interest rates, better rewards and provide a “new level of privacy and security.” Cardholders will also receive cashback rewards through the Daily Cash feature, with a percentage of purchases being put straight back on to the user’s Apple Card. The physical Apple Card is made of titanium and has no card number, security code, expiry date, or signature for improved security, with all authorisation information stored on the Wallet app. Pregnancy is a wonderful thing and also a pretty long time. Nine months, to be exact. What do you do with all this time? Take wacky baby bump photos! Popping up all over Instagram, each picture features what looks like a pregnant man. Of course, it’s just an illusion, with the mum-to-be’s belly sticking out from behind an object like a wall or tree while she hides her own head and the dad-to-be putting his own head in so it looks like it’s on his partner’s body. It’s adorably hiliarious and we can’t look away. The first all-female spacewalk, originally scheduled for Friday, March 29, has been dropped because NASA couldn’t get two lady-size spacesuits ready in time. If it sounds like a joke, it actually happened. NASA explains that two female astronauts were scheduled for Friday for the second of three spacewalks but they have since discovered that they only have one spacesuit that fits both women ready and available on the station. The decision has been made to change the people walking/wear ready-prepared suits, rather than try to configure the spacesuits they have by Friday. It’s more of a safety thing, really. We’re certain an all-woman spacewalk will eventually happen. It all started when a Twitter user posted a monkey – wide-eyed, poised, professional, alongside with the caption “this is every journalist headshot”. After gaining quite the traction on Twitter, journalists started to come forward admitting the uncanny resemblance between the beautiful monkey’s snap and their own headshots. The rest is all history and you can check the best shots here.